NEW for Winter NAMM 2010 from Bugera is a BC15 and BC30. 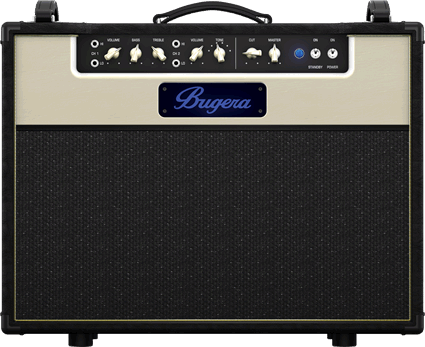 The BUGERA BC15 is the ideal choice for guitarists seeking authentic tube-tone in a compact, 12-pound (5.6 kg) combo. From its vintage styling, which harkens back to the golden age of valve design, to its dual-channel 12AX7-fueled preamp, nothing speaks retro like the BC15. 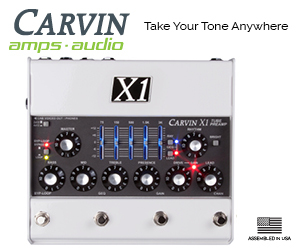 Add to this a MASTER volume control and 2-band EQ with mid SHIFT switch, and this little time machine will instantly transport your tone to the land of bliss. 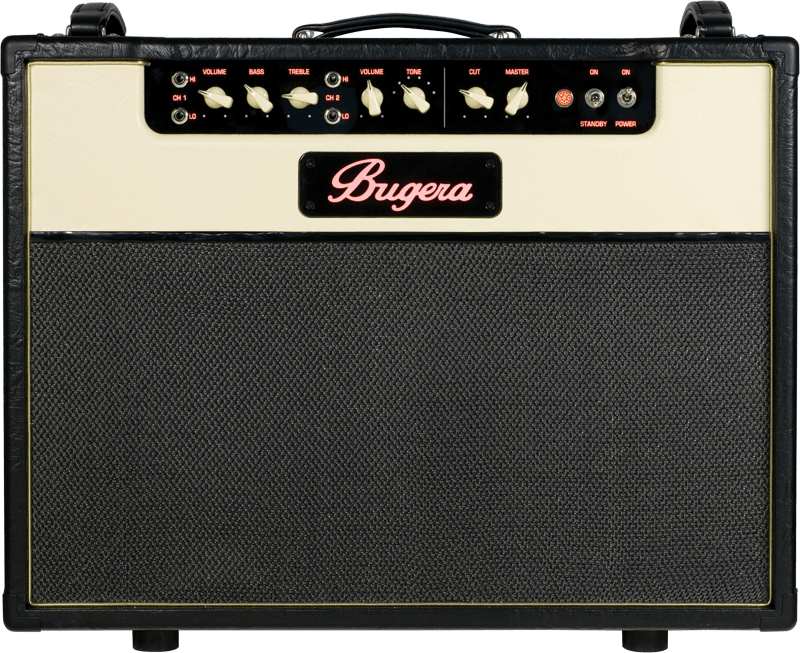 The Bugera BC30s coolest features is the the power amp section features four EL84 valves. With the simple flick of a switch, you can choose two EL84’s (15 W) or all four (30 W), giving the BC30-212 the power to restrain volume for smaller venues, or peel the paint off the walls in larger rooms. In addition, it has an all-valve rectifier to give you natural compression and sustain not available from solid-state rectifiers. 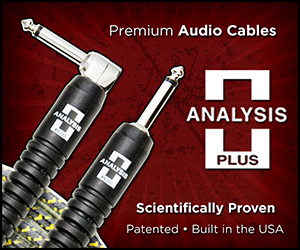 Put simply, a rectifier converts the Alternating Current (AC) entering your amp into the Direct Current (DC) it needs. 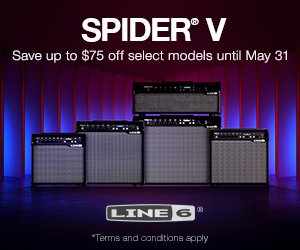 Most modern amps have siliconbased rectifiers that quickly convert the current, so when you strum a power chord, it bursts out big and loud, then decays. 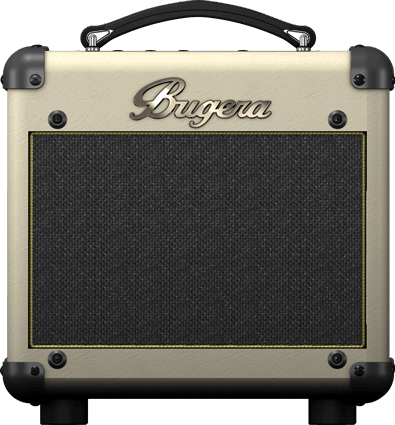 But a valve rectifier converts current at a slower rate, which means when you hit that same huge chord, you still get that powerful response, but the notes naturally compress and sustain much longer. The kind of rectifier you choose has a lot to do with your sound. That’s why we provide two options on the BC30-212: use a single 5AR4 rectifier to deliver biggerthan- life stadium rock; or plug in a pair of 5U4’s (not included) for a smoother, more-buttery sound.